The report notes that if future administrations simply continue President Barack Obama's environmental regulatory agenda, the cost to the economy will reach $1 trillion by 2050. But if the stricter environmental regulations adopted in the Democratic Party platform were implemented, the imposed economic costs would be substantially larger. The Democratic Party platform calls for "reducing greenhouse gas emissions more than 80 percent below 2005 levels by 2050." This would meet the target into which President Obama brought the United States by signing the Paris Agreement. 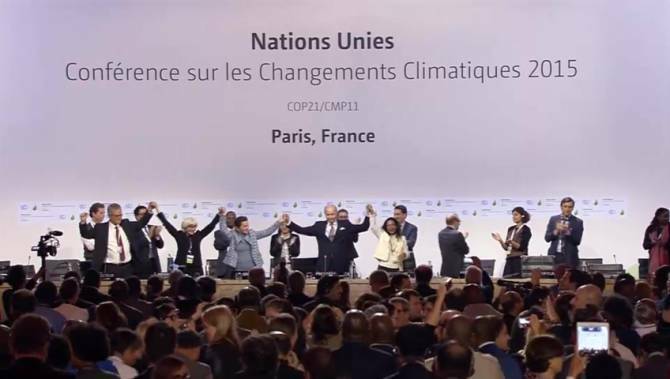 The agreement, brokered through the United Nations, "aims to keep global temperature increases to 'well below' two degrees Celsius and to pursue efforts to limit global temperature increases to 1.5 degrees Celsius," as Democrats' platform explains. According to American Action Forum, the Paris Agreement would have a devasting impact on the United States' economy. "Adopting the more stringent 80 percent reduction target currently embraced in the Democratic party platform, for example, will cost at least $300 billion annually and more than $4.5 trillion cumulatively (up to $13,000 per capita)," American Action Forum estimates. The report notes that the economic losses would be between $1.32 trillion and $7.22 trillion. Consumers and businesses would be left to pick up the cost of the regulations through higher energy prices and goods. "After $4.5 trillion in additional regulatory burdens, consumers could expect to pay more for energy, household goods, and a host of other products and services. The cost of using a car would rise by over $300 per year by 2050 if the abatement costs of CAFE regulation remain unchanged," the report explains. "The entire suite of burdens necessary to cut emissions by 80 percent through regulation would end up costing the average American $10,300 from 2017-2050." While the Paris Agreement has no force or effect, as its non-binding and was not submitted to the Senate for ratification, it could serve as a basis for future environmental regulation by the EPA. The results of the presidential election changed that, but more steps are needed to rein in the EPA, which is why legislative action to scale back the regulatory state and Pruitt's confirmation are so important for the United States' long-term prosperity.